the participation of businesses and young people in providing an enduring solution to the fast evolving crisis between farmers and herders. He argued that the challenges of insecurity premised by economic deprivations, which led to the Arab Spring culminating in the change of governments in several African countries, including Egypt, Libya, South Sudan, Mali and the recent Boko Haram menace in Nigeria, now in Chad and Cameroun are too glaring to be ignored. Tukur spoke at the presidential handing over ceremony of the ABR in Abuja to its new Chairman, Mr. Samuel Dossou-Aworet. ABR was founded by the African Development Bank (AfDB) between 1988 and 1990, even operated before the Private Sector Department of the pan-African bank group became fully functional. 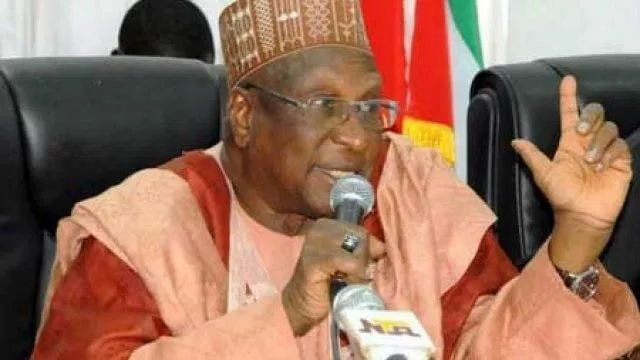 Tukur, also a former National Chairman of the Peoples Democratic Party (PDP), blamed the inability of the African continent to meet the Millennium Development Goals (MDGs) on the exclusion of the private sector in the quest to realise the goals. He canvassed a marshal economic plan of some sort, to support the resuscitation of the affected areas that will involve the participation of governments, businesses and development partners/Institutions; providing support, tax holidays and concessions to grow the battered economy of region. “The inability of the continent to meet up with the Millennium Development Goals (MDGs) is not unconnected to the lack of involvement of the private sector in the attempt of realising the goal; hence the call for an amendment in the pursuit of the new target of Sustainable Development Goald (SDGs). On his stewardship at ABR, Tukur recalled that he took over a financially prostrate organisation when he was elected president to lead the organisation. “Everyone here knows that without necessary resources deployed to actualise a vision, you will remain at best a good dreamer. “I committed enormous resources in terms of personal funds, time and goodwill towards rebuilding, restructuring and re-organizing the institution to raise its profile and relevance in the global economic, political and even socio-cultural arena. “More importantly however, was my commitment to strengthening governance, institutional efficiency and effectiveness through establishment of a functional secretariat, staffed by well trained professionals and supported by a pool of expert consultants which led to the development of a very robust Business Plan to chart the organizational path in delivering its mandate. “I also invited notable business leaders, firms and development institutions across the globe to join and collaborate with the ABR. We expanded the Board for more gender and regional inclusiveness,” he stated. The history of ABR, like any other institution, he pointed out, is not complete without myriad of challenges, adding that with the experience of Mr. Samuel Dossu, he was optimistic that ABR will continue to provide leadership for Africa’s economic growth. The new chairman of ABR, Mr. Samuel Dossou-Aworet is the President of Petrolin Group, the Pan Africa Oil and Gas Exploration Company. Dossou-Aworet, who is a passionate crusader for good corporate governance, an advocate for regional integration through cross border business and investment partnerships, a very successful business personality of high repute and integrity, hails from Gabon.